In this workshop we’ll look at the possibilities available for using the GLSL coding language to create live visuals. In recent years GLSL has become one of the most used languages for creating real-time graphics generators and image processing FX. 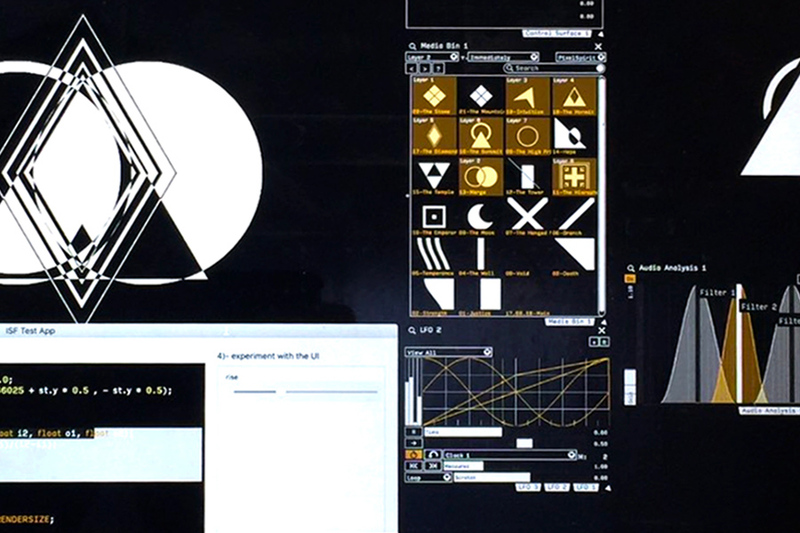 Primarily this workshop will focus on writing ISF based shaders to use in VDMX and other supported applications, but the basic concepts can translate to other platforms such as Unity, OpenFrameworks, Cinder, on the web and many other platforms. Hosted by David Lublin – an artist, programmer, occasional mathematician and lead developer of VidVox and VDMX software, based in Brooklyn, NY. Your own computer and download the free ISF Editor, Fragment, Quartz Composer or similar software for working with GLSL shaders.